This page contains information that is relevant for all undergraduate CS majors about the course registration process. Early registration for classes for each term occurs in the latter part of the previous term: Students register for spring semester classes starting the previous October/Novermber; students register for summer and fall classes starting the previous April. You should receive an email from the Office of the Registrar around the middle of each term. Following the instructions in the email, look for your Time Ticket (earliest registration time) on Student Self Service. Once the time stated on your time ticket comes up, you can start registering for your courses. When is the soonest that I can register? When can I see my Time Ticket? Besides sending you an email about your Time Ticket, the Office of the Registrar has a page about Time Tickets that may be helpful. What happens if I wait until later – a few weeks or months after my Time Ticket – to register? If you wait, you many not be able to register for the courses required to keep you on track to graduate! Some important CS courses have been filling up the last few semesters, so we're trying to help you by restricting registration in many of our core courses (CS 126, CS 173, CS 210, CS 225, CS 233, CS 241, CS 242, CS 357, CS 374 and most 400-level CS electives) to certain majors. We lift the restrictions from many of those courses the Monday after early registration ends. If you haven't registered by then and find that you can't get into the class you need, you will probably be out of luck. You will have to register for the CS electives that are available. What if I have a hold and cannot register during my Time Ticket? If you have a hold for any reason that restricts your ability to register let an advisor know ASAP (before registration begins if possible). They will work with you as much as possible to have a seat for you in your required courses. Meet with your advisor for any questions about registration. First-year students are required to meet with an academic advisor in the fall. All undergrads in the CS department are required to meet with their faculty mentor before registration in the spring. Clear any registration holds you may have. Make yourself aware about Enrollment Restrictions. Register for a complete schedule at full-time status. If you underload your schedule, it must be approved. if you are registering for your final semester you will need to complete graduation information and add yourself to the pending degree list. Registration is done online through the Student Self-Service system. The Office of the Registrar has a video with step-by-step instructions on how to use the system. (That page also contains written instructions.) Their pages on Registration Procedures and Frequently Asked Questions (FAQs) also contain helpful information. Which courses should I register for? This depends on (1) which courses are required for you to complete your degree, (2) which requirements you have already completed, (3) when a course is usually offered, and (4) which courses you might be interested in taking. Major requirements: courses required for your specific major - these are spelled out for each CS major: CS in Engineering, Mathematics & CS, Statistics & CS, and CS + X. General education requirements: to make sure your degree program is well-rounded - see the Engineering advising wiki for Engineering gen eds and the LAS website for LAS-specific gen eds. Free electives: additional coursework to bring your credit hours up to the required minimum for graduation - Engineering students be sure to check the Engineering free electives wiki page for courses that do not count. Check the requirements flowchart for your major for the suggested order in which major requirements should be taken, or use one of the course planning forms. (CS in Engineering, Mathematics & CS, Statistics & CS, CS + X - see your X department for their requirements). See what requirements you have completed/are completing and have left to complete by checking your degree audit. You can access your degree audit on the web-based DARS system. The Registrar's Office website has a step-by-step procedure on how to run a DARS Audit, https://registrar.illinois.edu/dars-audit. If you have a concern about your DARS (for example, if you have taken a course that you think should satisfy a requirement but it is not being counted), please email undergrad@cs.illinois.edu. If your situation is not straightforward or if you're really struggling in your courses, you should talk to an advisor, Steve Herzog, Heather Zike, Katrina James or Elizabeth Gonzalez before you register for your courses. If you're struggling, that might be a sign that you need to take fewer hours or fewer technical hours. If you're wondering if your proposed course schedule is manageable, ask your peers – and don't be afraid to get more than one opinion. When drawing up your schedule, pay close attention to course offering patterns so you can avoid overloads! Some courses are offered fall only or spring only, so if you're within two or fewer semesters of graduating, plan out the rest of your courses carefully so you don't wind up needing a course that isn't offered the semester you intend to graduate. We anticipate this might be a problem particularly for CS in Engineering majors who plan on completing the two-course Software Engineering or Senior Project sequence and/or certain focus groups. This also applies to Mathematics & CS and Statistics & CS majors looking to complete certain required courses at the junior and senior levels. How do you find out what a course covers, if it is being offered, or if an elective might be useful or interesting to you? The official Course Catalog and Programs of Study. Many instructors maintain course websites, which may be helpful to visit when determining if a course is right for you. Student-run resources like Dr. Everitt's Neighborhood. Consider a CS 498 Special Topics in CS course! If you have ANY questions about requirements, policies and procedures you can talk to a CS academic advisor. You can email all the advisors (undergrad@cs.illinois.edu) or stop by the Academic Office in 1210 Siebel Center. Advirors are usually on duty during walk-in hours (Monday - Friday, 10:00 - 11:45 am and 1:00 - 4:00 pm), but you can check to make sure - the walk-in hours are usually posted right by the door to the Academic Office. Am I required to meet with an advisor before I register? First-year students are required to meet with one of the CS academic advisors during the fall (you will be emailed about this requirement). All CS undergrads are required to meet with their faculty mentor (see below) in the spring semester to be eligible to register for the upcoming fall. If you have questions about scheduling, requirements, and procedures, though, you should see an advisor in the Academic Office or email undergrad@cs.illinois.edu. Can an advisor get me into a closed class? Check the class schedule. Read the course notes and check to see if a new section of the course may be added. Keep trying. Someone will probably drop the course, so check frequently to see if someone does. Persistence is the key to getting the classes you want. Is there any way I can schedule this course? Are additional sections likely to be added? If so, when? Expect to make changes during breaks or when you return to campus. Many students do not leave for winter and summer breaks with class schedules finalized. Schedule a related course that would be a good alternative. That being said, don’t settle for courses that are not appropriate just because they are available. Try again during peak schedule change times. Right before classes start and during the first 10 days of the semester, people are frequently making changes to their schedules. Attend the first day of class and ask the instructor if you can register for the course. The instructor may tell you no; however, he or she may tell you yes if attendance is low during the first week and it appears that there might be room in the course. If you can’t add the class right away, ask the instructor if you can attend the class in the meantime. That way you will be certain that you really want the course, and you will not have missed anything if the course becomes available. All CS undergrads are assigned a faculty mentor (new students receive their assignments usually late in their first fall semester or early in their first spring semester). Typically, all undergraduates must meet with their faculty mentor by the beginning of April (early registration for summer and fall terms). If you have a question that a faculty member would be best equipped to answer, feel free to contact your mentor, or any professor you've met with before or have had a course with in a past semester. Or if you have a question about a certain area of computer science, you can find which faculty members specialize in that particular area. All of our faculty members are listed by research area and in alphabetical order on the CS website. You can find these listings, along with contact information for each faculty member, in the CS departmental faculty directory. To understand more about faculty mentors and the advising process, see the page on Computer Science Undergraduate Advising. CS is using Piazza as forum for students to get advice from their peers and from the Office of Undergraduate Programs. Many questions can be answered quickly when we pool our shared knowledge. For simple advising questions, feel free to post to Piazza; CS staff will be monitoring and answering as best and as quickly as we can. This may save you a trip to the our office (though we'd still like to see you - don't be a stranger!). Use this forum for asking your peers questions about courses, sanity-checking schedules, internships, etc. Use this forum for simple questions about department, college, and university policies. Don't post academically sensitive information (e.g., grades, etc.) unless you are posting anonymously. We've disabled private posts, because usually such a post would indicate that you should probably be coming in to see Steve or Heather or Lenny in person. Check your DARS to make sure you know which requirements you have remaining and make sure that you can fit them in to your remaining semesters. For help, contact a CS academic advisor. Make sure you'll reach the required total hours minimum. See DARS for this, and remember that DARS includes in-progress courses - anything you're currently taking this semester and anything you've registered for next semester - in the total hours! Don't forget free electives! CS in Engineering majors need 128 total hours to graduate; all CS undergraduates in LAS need 120 hours. Just fulfilling your major requirements and gen eds will not be enough. Engineering majors be sure to check the Engineering advising wiki page on free electives to see which courses DO NOT count toward your total graduation hours. If you have any time conflicts among the remaining required courses, email the CS undergraduate advisors as soon as possible and let them know which courses are conflicting. Declare your intent to graduate. You should do this through Student Self Service when you go to register for your final semester of courses. Click on the tab "Graduation Information" and make sure the term is set at the term you are graduating, then follow the instructions for declaring your intent to graduate. Review this Graduation page from the Office of the Registrar to make sure you complete all the important steps for graduation. 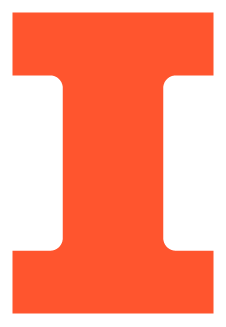 Complete commencement information can be found at http://commencement.illinois.edu/. The following error messages are commonly received during registration. Learn what they mean and what to do when you receive them. Note that it may be helpful to read the course notes in the course explorer under the specific CRN (course reference number) you are attempting to add to your schedule. The class is being held for students at a particular class standing (i.e., freshmen, sophomore, junior, or senior). Try to add another section of the class. Check the class schedule to see if the department has posted when the restriction will be lifted. The class is being held for students in a particular program or major. Try to add another section of the class. Check the class schedule to see if the department has posted when the restriction will be lifted. The class is being held for students in a particular college. Check the class schedule to see if the department has posted when the restriction will be lifted. Some classes require that you also register for a co‐requisite or attached course. If you get this error, the error message will tell you the class and CRN you need to add. Type both CRNs in the boxes at the bottom of the add/drop screen and try again. The course has been restricted by the department. Check the class schedule to see if the department has posted when the restriction will be lifted. Otherwise, contact the department for more information. Specific lecture sections must be linked to a lab or discussion section. The lecture and the discussion or lab must start with the same letter (A, B, etc.). For example, I want to register for SOC 100. I need a lecture (AL1) and discussion section (ADA or ADF). If I do not have both the lecture and discussion section selected, or if I register for a BL1 lecture and an ADA discussion, I will get this error. This class is being held for students in a particular major or majors. Check the class schedule to see if the department has posted when the restriction will be lifted. This course is restricted to a particular program or major. Check the class schedule to see if the department has posted when the restriction will be lifted. You get one of these messages when you don’t have an attribute required of the course or section. Check the section restrictions in the class schedule. Most often, course are held in this fashion for freshmen, James Scholars, pre-College of Media students, Weston or Allen Hall students, and so on. These sections will not open to other students unless otherwise noted, so if possible, try to add another section of the class that is unrestricted. You will get this message when the time of the course you tried to add conflicts with another course. Check to see if the course conflicts with either a discussion or lecture and try to change the previous or new course to a different time.